Balance Your Bet is a tool supporting each player to maximize his profit from betting in football matches. Based on a statistical analysis of older matches gives important information to the user in order to encourage or discourage him from insecure betting. By taking into account the database analysis the user is choosing the bets with the higher probability for confirmation, maximizing his profits. After registering for free, you will see a basic statistical analysis of upcoming games for multiple leagues. By selecting odds that have been overestimated by betting sites / companies (green boxes), players have an increased possibility in long-term profit. Balance your Bet uses data for leagues in over 25 countries. Choose from over 45 leagues and have accurate statistical analysis for every bet. With data from over 150.000 matches, Balance Your Bet provides a complete and thorough analysis of football match history. After registering for free, you first select one or more leagues for your analysis. Then, you choose the time period you want the statistical data for. Finally you enter the odds and details of the match you want to compare the analysis to, and you start the search. You get both the crucial and detailed information of the analysis, and can compare the results to the odds and details you entered to find the most secure bettings and maximize your profits. 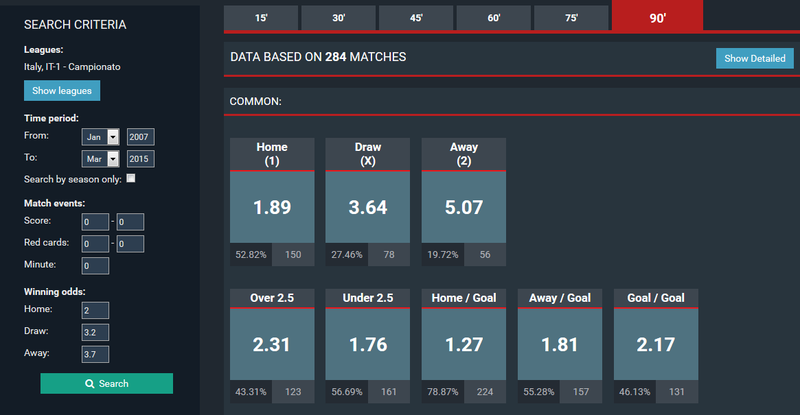 Click the button below to see more detailed information on how Balance Your Bet works.